Go read it yourself. Its only four pages: short and easy read, easy to understand. In a nutshell, as it were. Noto bene: As for me, I have encountered a sharp but hopefully transient increase in work related demands for the next couple of months. Thus, while I shall keep the dates of upcoming TLM Masses up to date – to the extent that I know about them - you will not be hearing much else from me. Perhaps that is a blessing. FIRST SATURDAY MASS Saturday, 2 February2019. Having safely passed the waypoint of the Feast of the Baptism of the Lord, those of us navigating with the 1969 Novus ordo chart know that we have departed the Ocean of Christmastime and entered the Sea of Ordinary Time, v.1. Here we will make our way across the waters of the weeks until we pass the Point of Ash Wednesday, entering the Easter Sea via the Storms of Lent. For those who are blessed enough to be able to follow the alternative chart of 1962, well, you are in a different part of the ocean of Christmas Cycle known as the Time After Epiphany. Here you will go until you, too, leave the Ocean of Christmas. But you will enter the Easter Sea via a different route, three weeks ahead of we who must use the newer chart. Your route does not recognize “Ordinary Time” but will take you by the “pre-Lenten” rocks of Septuagisema, Sexagesima and Quinquagisima Sundays. No matter, for you, too will end up at the same place: Ash Wednesday. As for me, I have encountered a sharp but hopefully transient increase in work related demands for the next couple of months. Thus, while I shall keep the dates of upcoming TLM Masses up to date – to the extent that I know about them - you will not be hearing much else from me. Perhaps that is a blessing. Last year, I did an overview of how the Liturgical Year differs, and how it remains the same, across the two liturgical forms, the Novus Ordo (Ordinary Form or OF) and the Tridentine (Extraordinary Form or EF). I also loosely refer to them as the 1962 calendar (the calendar followed by the EF) and the 1969 calendar (the calendar followed by the OF). I also did a post on the period of Christmastime, and how it differs across the two calendars. The period we are in now, the period after Christmas, is particularly confusing, so I thought I would update and repost that post on Christmastime. First, though, a note of caution: the purpose of these posts is simply to explain the differences, and the similarities between the two calendars. The Church can, and has, altered the Liturgical Calendar through the millennia. I’ve heard, for example, that once upon a time, Advent was 8 weeks, not 4. Sometimes changes seem for the better, other times not so much. But the Church has the authority to do this. Finally, I was critiqued once for spending to much time on OF things. Well, truth is, we live in a Novus ordo world, and it is instructive to recognize the differences. Also, many of us – me, for example- simply don’t have recourse to an EF Mass, because there are so few to be had, and those that exist are all clustered around Portland, far from where I live. So, we go to Novus ordo Masses, like it or don’t. Part I of the Christmas Cycle. Advent: First Sunday of Advent (the Sunday closest to November 30th) up to the Vigil Mass on December 24th. The feast of the Immaculate Conception, a Holy Day of obligation in the US (being as Our Lady is, after all, the Patroness of these United States) is on December 8th. The 3rd Sunday of Advent is Gaudete (rejoice!) Sunday. Note that the Ember Days for Advent also occur during Advent. These are days of recommended (not obligatory) fasting; in Advent they occur on Wednesday, Friday and Saturday after the 3rd Sunday of Advent. The subject of Ember Days probably should have its own post someday. Part II of the Christmas Cycle. Christmastide: Begins with the Vigil Mass, December 24th, (which I believe in the 1962 calendar must span midnight) and runs through Epiphany. Now things get a little confusing. Right after Christmas Day comes the days of the Octave of Christmas; these have their own Masses, with Decembers 26, 27 and 28 are the Masses of St. Stephen, St. John the Evangelist, and the Holy Innocents, respectively. Decembers 69, 30 and 31 are just called 5th, 6th and 7th days in the Octave. If a Sunday happens to fall in there, it gets its own Mass, the Sunday within the Octave. Then comes the Octave, January 1st, previously known as the Mass of the Circumcision (I think), as under the Jewish Law, it was on the 8th day of life that the boy was to be circumcised. Now it is known as the Octave Day of Christmas. On the Sunday after the Octave Day of Christmas comes the Feast of the Holy Name of Jesus. Now, if this Sunday happens to fall on January 1st, 6th or 7th, then the Holy Name Feast is kept on January 2nd. Except when it isn’t. Current calendars for the EF available to me differ slightly on this point. Anyways, the days of January 2nd, 3rd, 4th and 5th are Feria (non feast) masses with their own designated readings, Collects, Introits and so forth. What we can be sure of, though, is that in the 1962 calendar, Epiphany falls on Epiphany, the 12th Day of Christmas, January 6th.. The Octave of the Epiphany is January 13th, the Baptism of the Lord. Part III of the Christmas Cycle: Season after Epiphany: Now things get a bit more straightforward. Each Sunday after Epiphany (As many as 6 depending on when Ash Wednesday comes) gets its own Mass, and the days in between are Ferias interdigitated with various saints’ feast days. This season runs up to the Saturday prior to Septuagesima Sunday. Thus endeth the Christmas Cycle in the Extraordinary Form, according to the 1962 Liturgical Calendar. 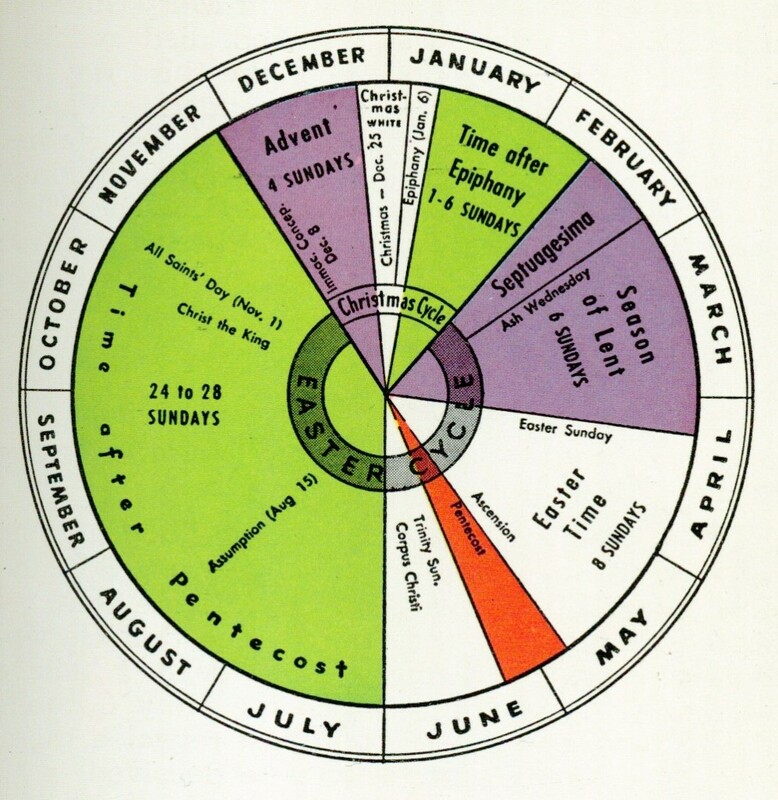 The periods known as Ordinary Time are not present in the 1962 calendar. How does Christmas time work in the 1969 Calendar? The USCCB promulgates the Liturgical Calendar for these United States every year, the USCCB calendar website is here, the link for the calendar PDF is here. Advent: Using my handy and dandy Daily Roman Missal, Third Edition I find that, as in the EF, Advent runs from the First Sunday of Advent up to First Vespers of Christmas, essentially Sunset of Christmas Eve (which is when the Vigil Mass is often held). As in the EF, the Feast of the Immaculate Conception is on December 8th, and Gaudete is still the Third Sunday, but the Ember Days are all gone. Indeed, all of the Ember Days throughout the year were expunged from the 1969 calendar. Other than that, things are pretty similar to the EF. Christmas Time: Begins December 24th at First Vespers (Evening Prayer I, which is essentially sundown). The Octave is pretty much as in the 1962 calendar, although the Octave Day (1 January) is the Solemnity of Mary, Mother of God. In the 1962 calendar, this feast is not a solemnity, and is on October 11th. Next up is Epiphany. In the Dioceses of the United States, Epiphany is on the Sunday that falls between January 2 and January 8. If that Sunday happens to be the 6th of January, then Epiphany is on Epiphany. If that Sunday happens to be not January 6th (Epiphany), then Epiphany is celebrated on that Sunday anyway and January 6th in that case is just another day. Now, this period around the 1st of the year is already confusing, as we saw in the 1962 calendar, it is doubly so in the 1969 calendar, because we have two factors that move: the days of the week change relative to the calendar dates (normal), and the date of Epiphany moves, to keep it on a Sunday (less normal). This, in turn, necessitates extra set(s) of weekday readings. If you are not following this and are getting a headache, don’t worry. It’s only in these United States that this goes on. In the rest of the Roman Catholic world, at least so far as I know, they celebrate Epiphany on Epiphany. Or, maybe they don’t. The Feast of the Baptism of the Lord ends Christmas Time, but it isn’t celebrated at the Octave of Epiphany, as it is in the 1962 calendar. It can be anywhere from 1 to 7 days after Epiphany which, as we saw, has no fixed date either. To recap: in the 1962 calendar, Epiphany is on Epiphany, January 6th, and the Baptism of the Lord is January 13th. The Season After Epiphany, Part III of the Christmas Cycle, can vary in length, but it always ends the evening before Septuagesima Sunday. Spetuagesima Sunday, in turn, is always three Sundays before Ash Wednesday, and nine Sundays before Easter. Always. It’s easy to keep oriented to where you are in the year. In the 1969 calendar, Epiphany is sometime between January 2nd and January 8th, and the Baptism or the Lord (and the end of Christmas Time) is 1 to 7 days after that. Some years, like last year, Christmas Time can end rather abruptly, with the Baptism falling the day after Epiphany, which was placed that year on January 7th. On the other hand, in this year – 2019 – the Novus ordo Epiphany happens to fall on the actual Epiphany, January 6th.. So, in the 1969 calendar, if you find yourself feeling slightly disoriented after January 1st, well, don’t worry about it. The USCCB isn’t. After the Baptism of the Lord (1969 calendar) Christmas Time is over, and we go into the first of the two rounds of “Ordinary Time”. There are no “pre-Lenten Sundays” (Septuagesima, Sexagesim, Quinquagesima). So, there it is. Noto bene: I post times and places of Latin Masses in the Diocese, to the extent that I know of them. Please feel free to E-mail me at info@unavocemaine.org or timothy.collins3@va.gov with additions, deletions or corrections. Happy New Year! FIRST SATURDAY MASS this Saturday, 5 January 2019. Noon: Sung Mass at the Basilica in Lewiston (St. Gregory the Great Latin Mass Chaplaincy). For whatever it’s worth, a literal rendering of Adeste, Fideles laeti triumphantes comes out as “Be present! Faithful, happy, victoriously marching ones.” I had help, of course, from Professor Hans-Friedrich Mueller but no matter. Anyway, here’s the entire piece, and may God bless you all in this Christmas Season! See you in January. On the Stability of the Latin Mass in these times of chaos. I have never had the sense of peace in the Novus ordo that I had back in the day when we were able to go to a local Vetus ordo parish. Since it was an FSSP parish, we didn’t feel like we were second class citizens, relegated to a side chapel, the basement, or an inconvenient Mass time. The Mass was reverent, it was predictable, it was not about the priest drawing attention to himself or the people drawing attention to themselves. It was about God. The Mass was the Mass, it didn’t change, and that was that. Michael Price is a 23-year-old former atheist who is taking a Catholic catechism class. He described himself as on the verge of converting and believes the traditional Latin Mass has been helping him in his conversion process. For Price, there’s something straightforward about the extraordinary form of the Mass. I recommend the article to you – it is very good. … at the Dominican Nuns Cloister Shoppe!!! They close down every year on December 17th (they’ll be back in January) because, well, they want to focus on the birth of Our Lord and Savior on Christmas Day. Was Jesus really born on Christmas Day? I believe He was. Anyway, here’s some information on The Cloister Shoppe in particular and the nuns in general. We also discussed them here. So, help support them and get some nice stuff for Christmas, too. I don’t actually know who Taylor Mashall is, but he is certainly is prolific. He did a podcast called 10 Reasons to Attend the Latin Mass – my attention was drawn to it by an Una Voce ME member, but Fr. Z also mentioned it here. I haven’t viewed the podcast, but it’s getting good reviews and I thought I’d pass it along. The Sacrifice of Fr. Schmitt, the Second Sunday of Advent, 1941. 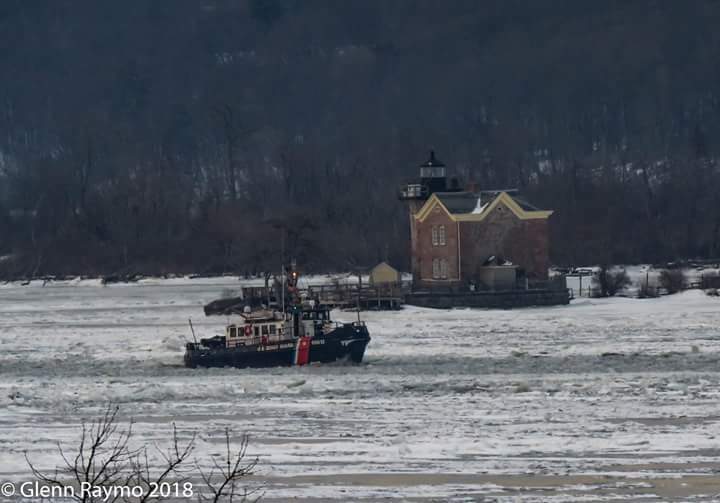 "...the Commanders of the ships of the thirteen United Colonies are to take care that divine services be performed twice a day on board and a sermon preached on Sundays, unless bad weather or other extraordinary accidents prevent." Thus was born the United States Navy Chaplain Corps. Chaplains in the Armed Services are commissioned officers, and wear the uniform of branch in which they serve. Some chaplains serve for only a few years, others serve for an entire career. I served as a medical officer aboard two United States Navy warships: USS Wasp (LHD-1) and USS Nassau (LHA-4). Aboard both, at 2100 hours (9PM) some version of the following would be piped over the 1MC (public address from the bridge): “All hands stand by for the evening prayer.” The the chaplain would come on and offer a short prayer. Generic, to be sure, but a prayer, nevertheless. On Sundays and Holy Days of obligation, when a priest was available (he usually was flown over from another ship on the ‘holy helo’ yuk yuk) there was Mass, sometimes in the medical spaces, occasionally on the flight deck, assuming no flight ops, a rarity except when in port. Which brings us to this from US Naval Institute News regarding Fr. 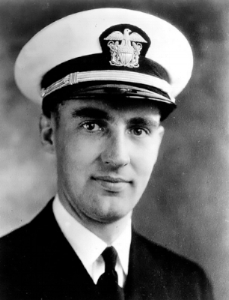 Aloyius H. Schmitt, Lieutenant (junior grade), Chaplain Corps, USN, and his sacrifice on the morning of December 7th, 1941. LT (jg) Schmitt was serving as Catholic Chaplain aboard the battleship USS Oklahoma. The USS Oklahoma was the second of the Navy’s Nevada class battleships, laid down in 1912 and commissioned in 1916. Like many of the WW I era Navy ships, she underwent several modernizations through the period of the 1920s and 1930s, and eventually found herself as part of the Pacific Fleet moored that peaceful Sunday morning in berth F5, “Battleship Row”, Pearl Harbor Naval Base when the Imperial Japanese Navy carried out the sneak attack which brought the United States into World War II. The Oklahoma was torpedoed, capsized and sank during the attack. As Oklahoma was capsizing, Schmitt sacrificed his own life to assist many of his shipmates’ escape through an open porthole. Schmitt had been hearing confession when Oklahoma was hit by four torpedoes, according to the Navy. Schmitt helped a small group of sailors escape, before he attempted getting through the porthole. He was struggling to get through when he noticed more sailors had entered the compartment he had been in, according to the Navy. Before Fr. Schmitt died, he saved 12 of his shipmates. Christ the King Chapel at Loras College was built in 1946 as a memorial to Fr. Schmitt. He was posthumously awarded the Silver Star on December 7th, 2017. Fr. Schmitt was the first American chaplain of any faith to die in World War II. December 7th, 1941 was the Second Sunday in Advent. The AMS is a church entity. It is not a part of the Armed Forces and is not funded by the federal government. It is a “home” mission diocese that depends almost entirely on financial support from individual donors including personal donations from its military and VA chaplains, gifts from military communities, gifts from dioceses, charitable bequests, and grants. The military chaplains are members of the Armed Forces and, as such, are paid by the government. The AMS must pay all the considerable travel costs for its clergy to visit military installations around the world. They do not travel on military aircraft. The AMS receives limited support from certain US dioceses and foundations that support Catholic causes. On a personal note, I and my wife went through RCIA under the auspices of the AMS while stationed in Italy, and we came into the Church in the military chapel at the Naval Support Activity Naples, Italy. I have been to I don’t know how many Masses offered by priests in the USN Chaplain service aboard several different warships, as well as in Italy, Spain, and various locals in the Persian Gulf. I cannot express how important these men have been to me in my life, and to others serving haze gray and underway. 8AM: Low Mass at the Cathedral of the Immaculate Conception, 307 Congress St., Portland, ME (sponsored by St. Gregory the Great Latin Mass Chaplaincy). Noon: Sung Mass at the Saints Peter and Paul Basilica, 122 Ash Street, Lewiston, Maine (sponsored by St. Gregory the Great Latin Mass Chaplaincy). We noted Bishop Robert Morlino’s sudden and unexpected passing on November 24th, 2018 here. There are many biographies on the Bishop, a reliable one is from the Diocesan paper, the Madison Catholic Herald. Fr. Z, who knew him well, has written a lot about him in recent days: go here for the archive. Pundits have written as well; Fr. Raymond deSouza wrote here, and one of the most complex eulogies is that of Rocco Palmo. Some have interpreted Rocco’s piece as a slam on the Bishop before the body is cold; I think it is an ode to a happy warrior. Both the SSPX and the FSSP have weighed in as well. Why is such a deal being made about all this? In my opinion, it is because the Bishop was a happy warrior, a man who was simply unafraid of the world, the culture, even what people and even other bishops said about him. From my distant vantage point, he appears to be a man who understood exactly what his job was, and went ahead and did it, and the heck with what people said about it. He didn’t answer to them, he answered to a higher authority. To me it seems that Bishop Morlino saw his job as saving souls, not superstructures (nevertheless understanding that one side benefit of a robust Church is robust superstructure; it’s all related), and he understood the importance of beauty – objective beauty – as well as clear and unambiguous orthodoxy in that job of leading souls to salvation. The Diocese of Madison has a page here. This page lists Requiem and Memorial Masses being said, not just in Wisconsin but elsewhere in the country, and internationally. EWTN will be broadcasting the funeral at 11AM, Tuesday, December 4th. Latin Masses in the Portland, Maine area in December, 2018, including a Midnight Mass (revised schedule). We are in to Advent, the beginning of a new Liturgical Year, and there are a plethora of Masses to be offered in the Extraordinary Form in the Portland area in December! (Around seventeen altogether, if you include the “regular” Sunday 8AM and noon Masses). In addition, the St. Gregory the Great Latin Mass Chaplaincy will be having Masses as usual every Sunday at 8:30AM (Basilica, Lewiston) and noon (side chapel, Cathedral, Portland), as mentioned on the sidebar, in addition to two Masses on each of the Holy Days (8 December, 25 December, 1 January). Eternal rest grant unto him O Lord, and let perpetual light shine upon him. May he rest in peace. The "New Universal Roman Calendar" (sometimes called the “Revised Calendar”), as we recall from this earlier post, was promulgated by Pope Paul VI in 1969 as part of the 1969 Edition of the Roman Missal, also known as the Novus ordo missae, which took effect on the First Sunday of Advent, 1969. In the Revised Calendar, there is “Ordinary Time” (there are two “Ordinary Time” periods, actually) and there is Advent, Lent, Christmas Time and Easter Time. During ordinary Time there is a three year Sunday lectionary cycle as we saw above (A, B and C) and a two year weekday lectionary cycle (Year I, which is odd years, and Year II, which is even years). Advent, Christmas Time, Lent and Easter Time have their own annual set of readings and prayers. The Traditional Latin Mass 1962 Calendar is much simpler as there’s only one annual cycle (although because of this there’s certainly far fewer Scripture readings over the year: increasing the amount of Scripture was one of the stated reasons for the Revised Calendar). This coming up Sunday is the 24th Sunday After Pentecost (the Solemnity of Christ the King is on the 4th Sunday of October in the old calendar) and the readings for the final week of the liturgical year are either those for whatever Saint’s Day it happens to be, or a free day ("Feria"). and a beautiful Novus ordo Daily Roman Missal. And, don’t forget your Advent Candles and other Cloister Shoppe goodies from our friends the Dominican Nuns of Summit, NJ!